This is my 6th article on things I learnt from my parents. Things, which today, as an adult I realise, is so much responsible, for me being, what I am. Once I remember coming home from school, being very upset. I had a fight with a friend of mine in school and felt I had no friends in this world (you know as a teenager you feel such crap). My dad saw me and asked me what happened. Now I rarely used to open up about such issues, but that day I did. After venting out my emotions, my dad asked me a simple question “Are you friends with yourself ? Do you love yourself ?” Now of course, in those days when there was no “Secret by Rhonda Byrne”, and such concepts were alien to all of us. I, of course, assumed, that my dad had lost it, and said No. So my dad said “So if you cannot be friends with yourself, if you cannot love yourself, why do you expect someone else to? Do you want your friends to love, what you cannot love?” Now honestly, at that age it made no sense and I was quite upset with him for not understanding my predicament. He then gave me an exercise to do, which at that moment seemed like such a burden. He said “Why not from today, try being your own friend first? Why not write down daily, one reason, why you should love yourself?” By now, I was quite sure my dad was the most insensitive man on earth, who had no idea, how to deal with life and the many problems it had to offer. Anyway, for that moment, the story ended there and my life moved on, and of course I did nothing of that sort. But then, as I grew up, I was one day in college and was very down about something. 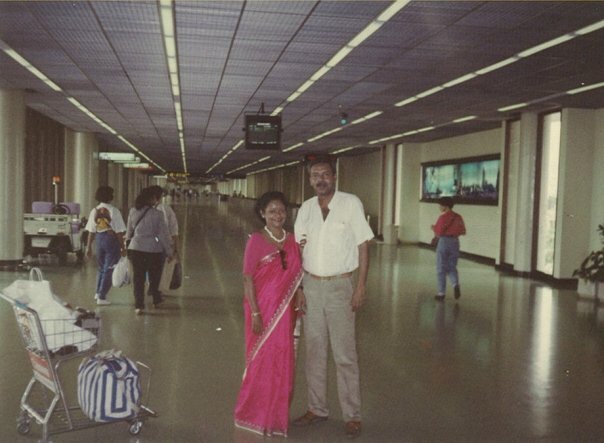 Both my parents were in Singapore then and I did not know what to do, and I suddenly remembered his advice. So that day, I took out my diary and wrote down for the first time, one thing I loved about myself and the feeling was exhilarating. I never felt happier in my life. Somehow, I had no idea that I was so great, till I started telling myself . From, that day, started a love affair with myself, which continues till date, and must say the strongest affair, I ever had . Today, when I come across many friends, who seem to break down and all lost, cause they do not have a man/woman in their life, I realise the value of his words. I have been alone many a times, but never been lonely. I have had my heart broken, but I never felt unloved. Till date, I remain my biggest fan. So today, when you feel alone, when you feel no one loves you, when you feel time is running out, and you need to settle down with the next “available” person you meet – why not do what my dad taught me? Start a love affair with yourself, and I assure you, never again will you feel the need to be sad again.